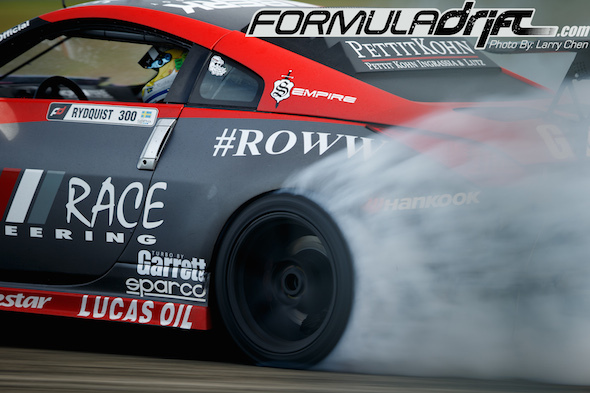 Long Beach, Calif. – October 10, 2014 – Formula DRIFT PRO 2 finished the season at Irwindale Speedway with final round of 2014. 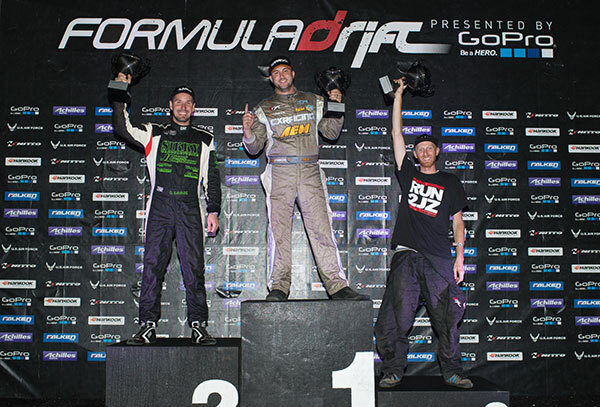 Jeff Jones in the CX Racing Nissan S14 takes the event victory, while Dan Savage in the Sikky Manufacturing Mazda RX-8 is crowned PRO 2 champion. PRO 2 finished its inaugural season at Irwindale Speedway. 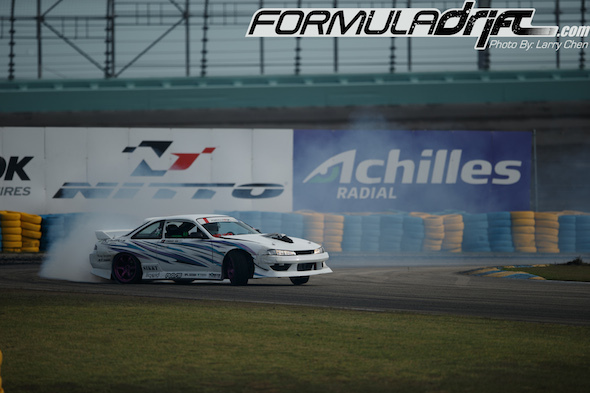 PRO 2 was introduced as an intermediary series between the Formula DRIFT Pro-Am and Pro Championship to help drivers get acclimated to the competition level and venues, while gaining valuable experience. 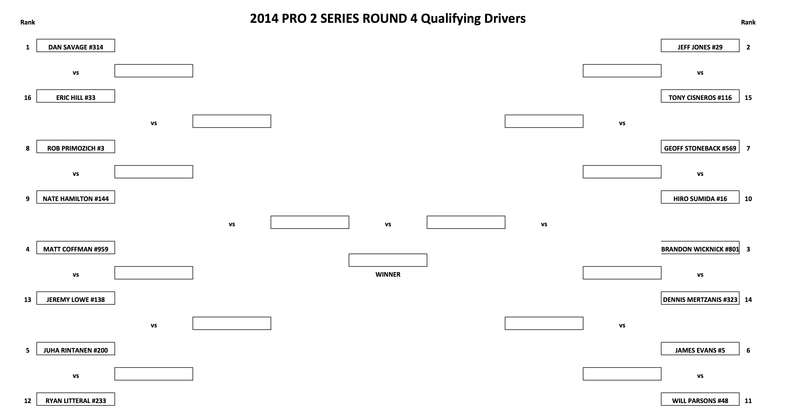 As the first year of the PRO 2, drivers that are eligible include both licensed Pro-Am and Pro Championship drivers. 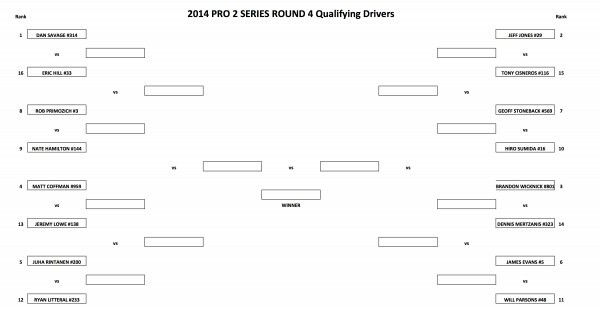 Drivers were also given the option to compete in both PRO 2 and the Pro Championship. The finals pitted Jeff Jones against Dan Savage. Savage on his chase run crashed giving Jones his first ever competition victory. Brandon Wicknick in the Driftmotion D-Spare Nissan 2JZ S13 rounded out the podium in third place. In a tightly fought championship chase, Dan Savage edged out the point leader, Geoff Stoneback with his second place podium finish to win the PRO 2 championship by a mere 5.50 points. With unpredictable weather leading up to the Top 16 show, the track was a mix of all sorts of driving surfaces, never being consistent due to a rainstorm that rolled in hours before, and the continuous spitting from the clouds as the night moved on. 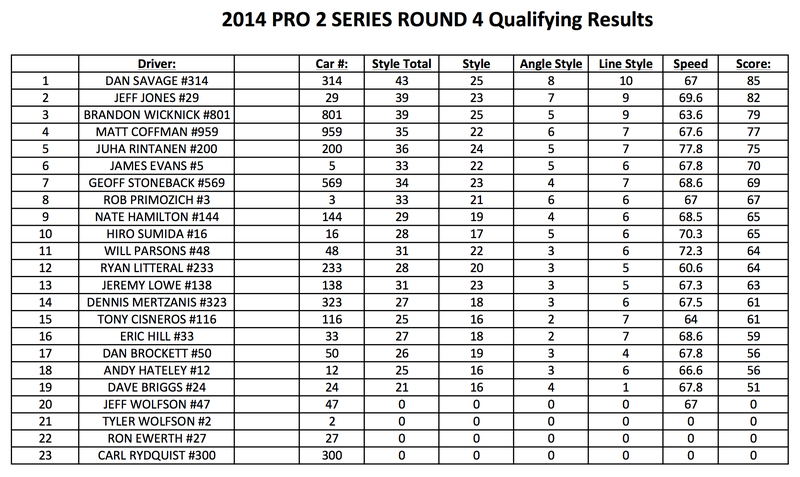 What worked in dry qualifying the night before, was obviously not going to work in competition. We know that most of our readers don’t want to sit through a 2 hour long replay full of commercials and track delays, so we break down all the action Cliff Note’s style, or “TLDR – Too Long Didn’t Read” style, for our attention span challenged friends. We have something in common.